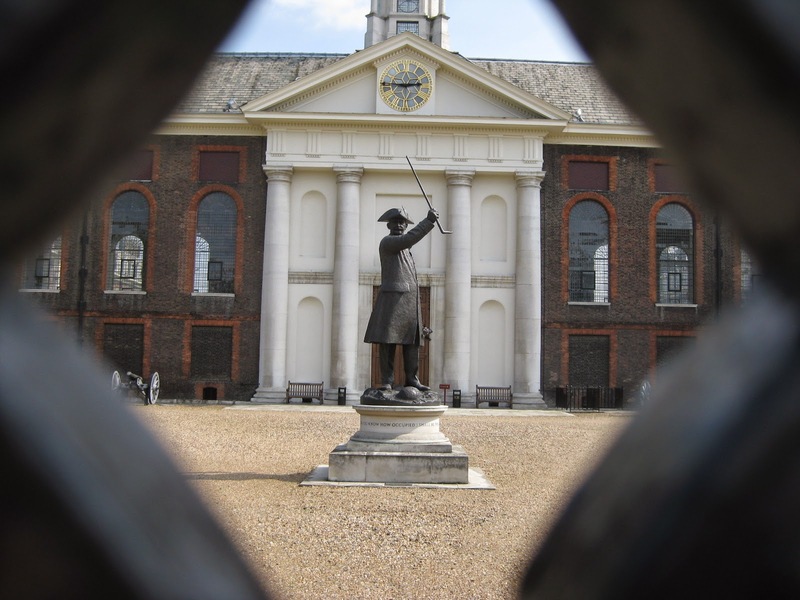 Commissioned by the Royal Hospital Chelsea, the In-Pensioner is a bronze sculpture which stands in front of the Octagon Porch and North Front at the Royal Hospital, showing a Chelsea Pensioner at life-size and a half. The bronze was unveiled in 2000 by the Duke of Westminster, the Pensioner stands proud and defiant, despite his age, and around the plinth at the bae, the soldiers' prayer said by Sir Jacob Astley before the Battle of Edgehill in 1642 is repeated "O Lord you know how occupied I shall be this day. If I forget thee do not forget me".